The villa is known as el Serrat. It is located in Costa Brava’s area, in the region of Pla de l’Estany, in the limits of Empordà region. 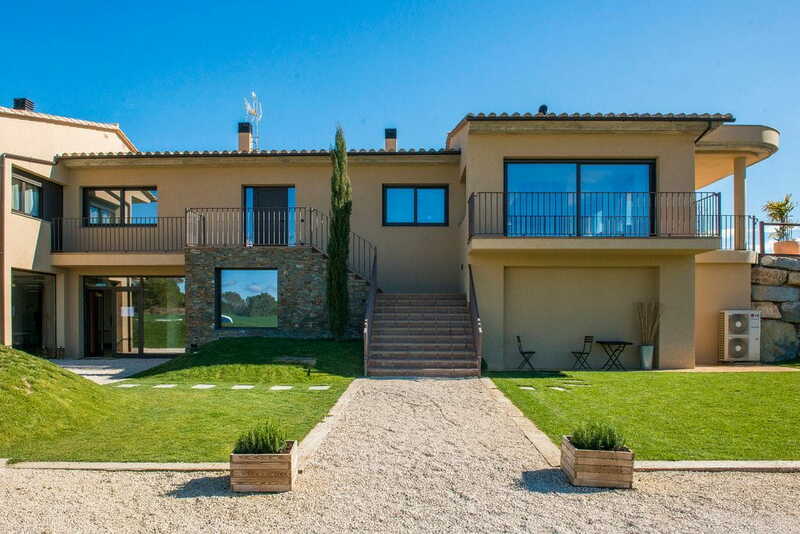 Not only is it in a privileged natural environment, but also has really good accesses and it’s only 10 minutes far from Girona capital city. 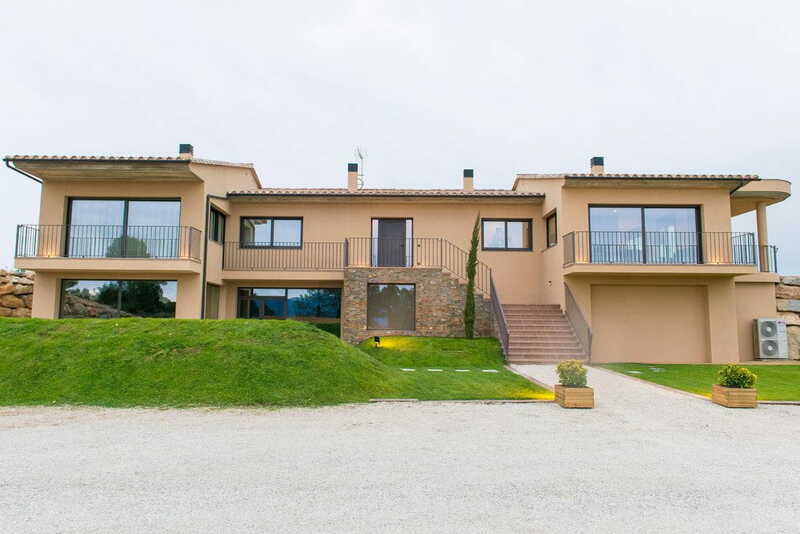 It’s situated in a beautiful hill, from where you can enjoy the unique panoramic views of the Pyrenees and the magnificent Costa Brava landscapes. 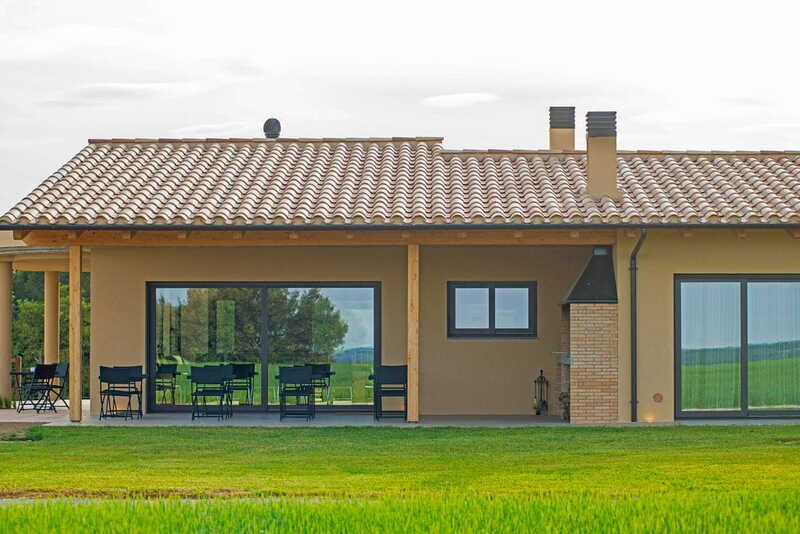 It’s a perfect house for enjoying a relaxing stay, being just in the middle of the countryside. El Serrat has really comfortable, bright and spacious rooms. There are 5 suite rooms with terrace. 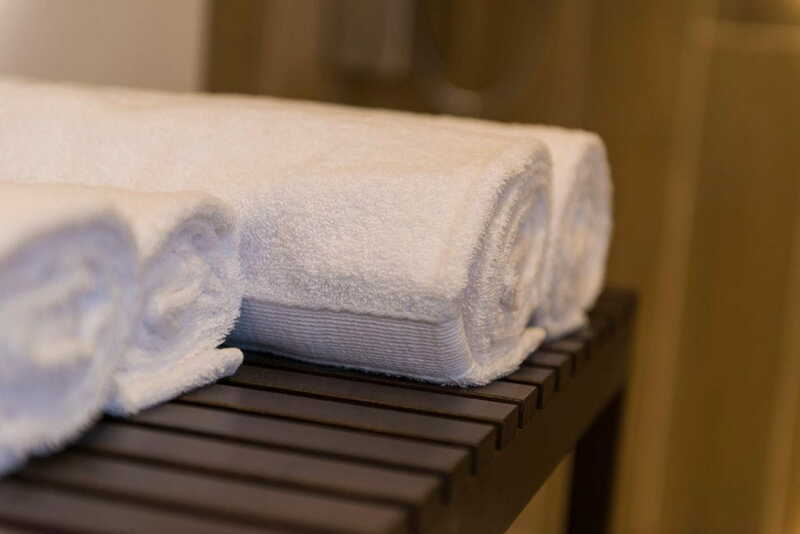 Each one contains a wide bathroom fully equipped with multifunctional hydromassage and sauna showers. One of them has also an hydromassage bathtub from where enjoy the beautiful landscapes. The living and the dining room, with big balcony windows, are completely equipped, so as to celebrate any kind of events. We can find a cozy fireplace 360º. 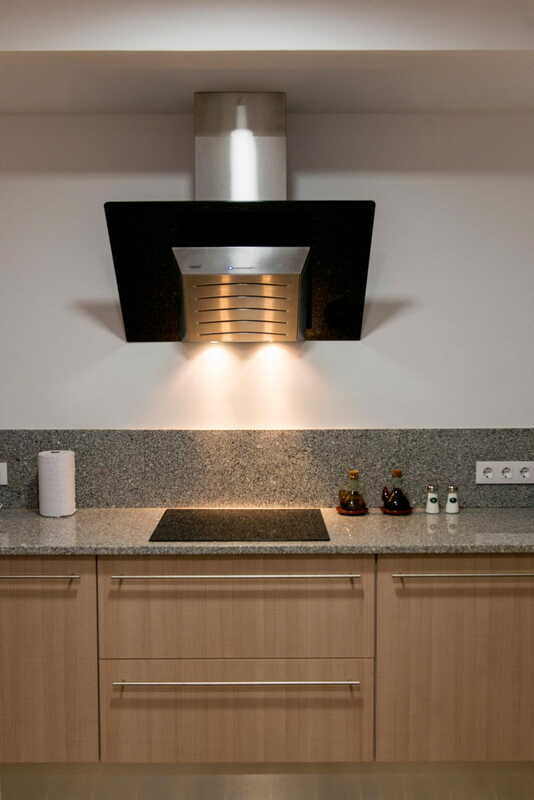 The kitchen is fully equipped in order to prepare any kind of food anyone may deserve. 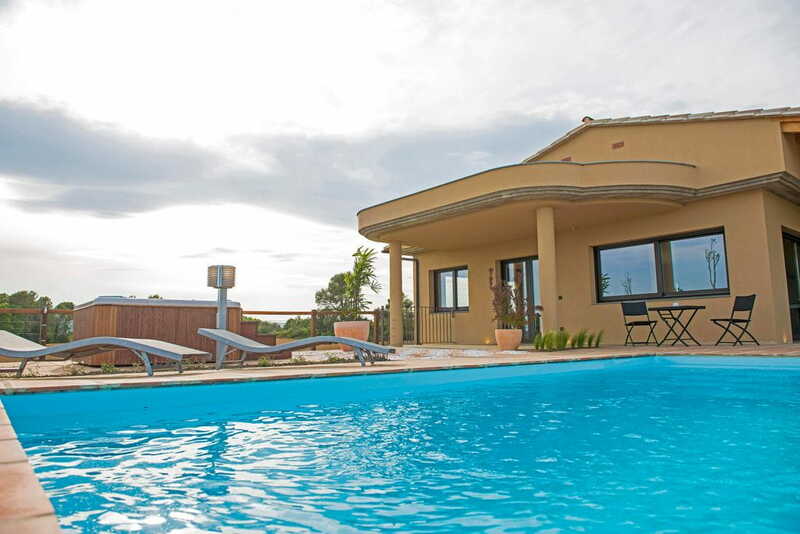 The villa is all provided with a central heating with underfloor heating system, so as to make the stay more pleasant. There’s also a big terrace with a barbecue, a games room with a pool, surrounded by a big garden area, and the parking zone. Additionally, in the ground floor, there’s a big room prepared for the celebration of any kind of events. 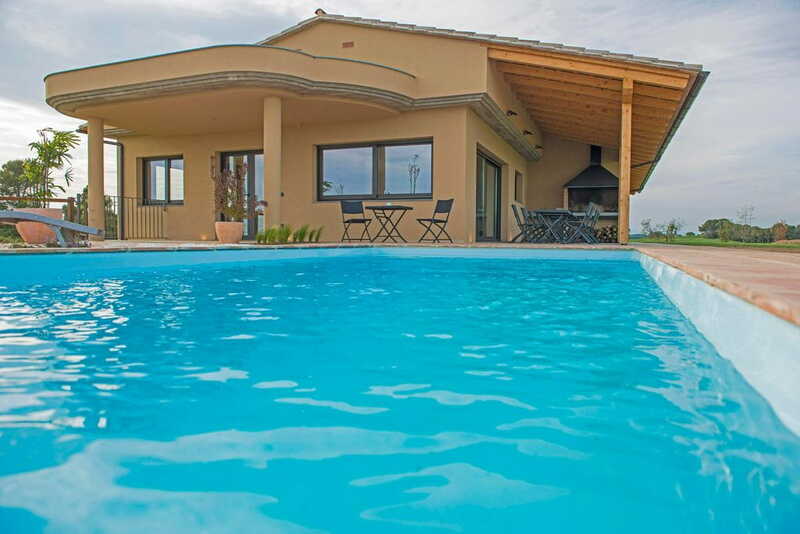 The swimming pool surrounded by a beautiful garden has been thought to make people enjoy with family and friends. 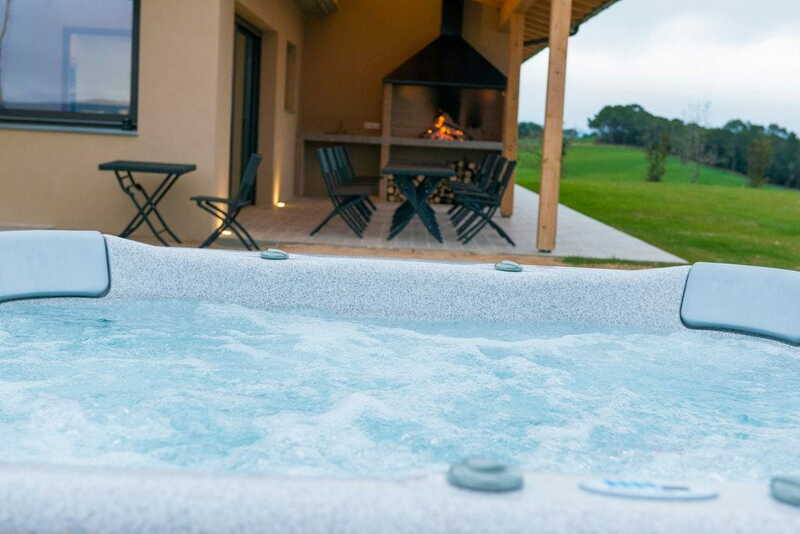 We can also find a Spa/jacuzzi with cromoteraphy functions able for 6 people, which is another characteristic elements that will make a perfect stay. 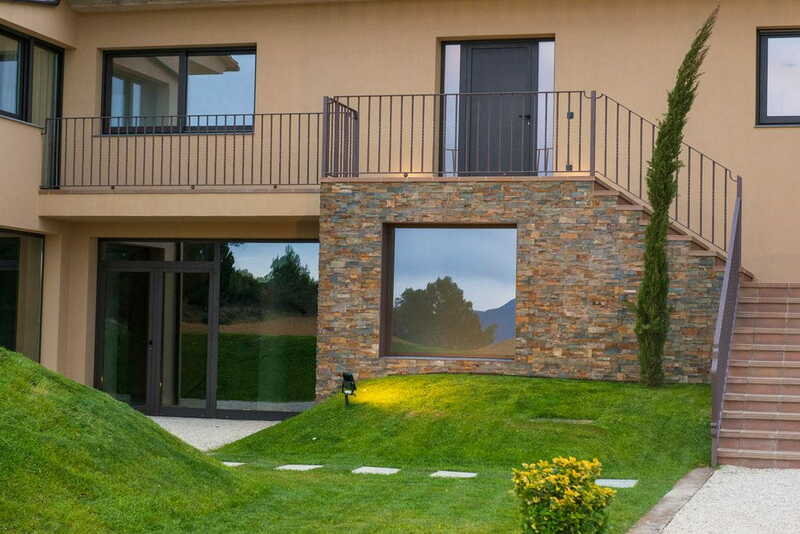 Therefore, el Serrat will even satisfy the most demanding people. 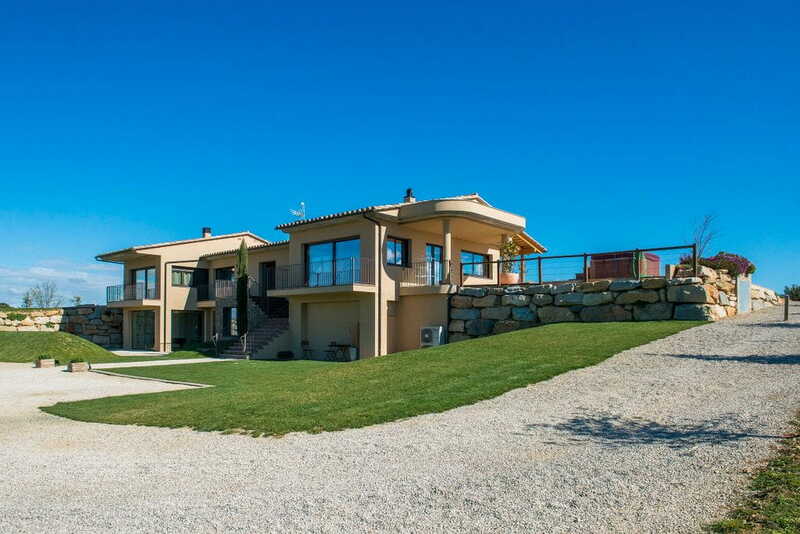 It’s a villa from which it is possible to really enjoy every detail, being integrated with its surroundings. It’s a natural luxury. El Serrat's surface is 610m2 and its maximum capacity is 18 people. 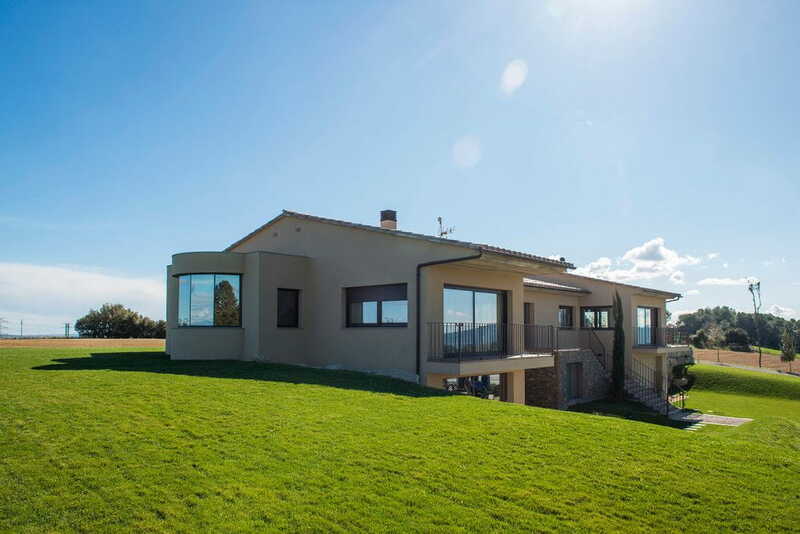 It has an 80m2 terrace with a barbecue. 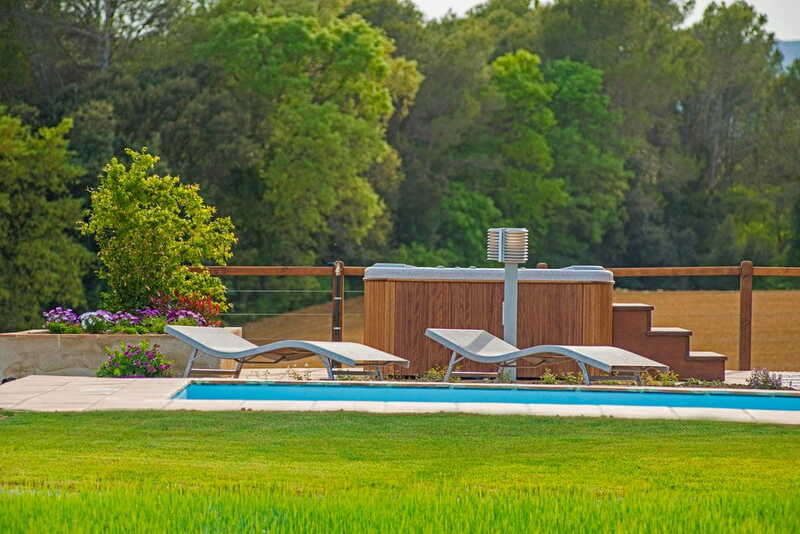 The garden is about 4000m2 and a large games room with a pool prepared for all kind of events. Rooms with private bathroom and hydrosauna, hydromassage cabine/shower with cromotherapy, aromateraphy and piped music. A large suite with hydromassage and multifunctional bathtub from where to enjoy the magnificent panoramic views. A Spa with cromotherapy and a capacity of 6 people. A spacious living room with a 360º fireplace. Spa chromotherapy with pipe music. Up to 6 people. We take the restaurant in the house! Quality dishes to enjoy during your stay.